Russia recently deployed a new cruise missile that American officials say violates a landmark arms control treaty, posing a major test for President Trump as his administration is facing a crisis over its ties to Moscow. The new Russian missile deployment also comes as the Trump administration is struggling to fill key policy positions at the State Department and the Pentagon — and to settle on a permanent replacement for Michael T. Flynn, the national security adviser who resigned a few days ago. Mr. Flynn stepped down after it was revealed that he had misled the vice president and other officials over conversations with Moscow’s ambassador to Washington. It is said that he has had contact with the Russian ambassador pre-inauguration. According to New York Times, The Obama administration had sought to persuade the Russians to correct the violation while the missile was still in the test phase. Instead, the Russians have moved ahead with the system, deploying a fully operational unit, violating a Cold War treaty. The treaty in question was signed between President Ronald Reagan and Russian President Mikhail Gorbachev in the final years of the Cold War and is still in effect. It bars missiles with a range greater than 300 miles. According to CBS News; the U.S. official David Martin said that they have monitored flight tests in which the missile, known as the SSC-8, flew farther than 300 miles. Besides violating the treaty, the deployment increases the military threat to NATO and raises the question of what the U.S. can do in response. According to the Washington Post, the White House was warned weeks ago by the Justice Department that Flynn had misled the White House about those communications and was susceptible to Russian blackmail. With all this happening, one would think that the U.S President – Donald Trump would have said something by now, so why hasn’t he? 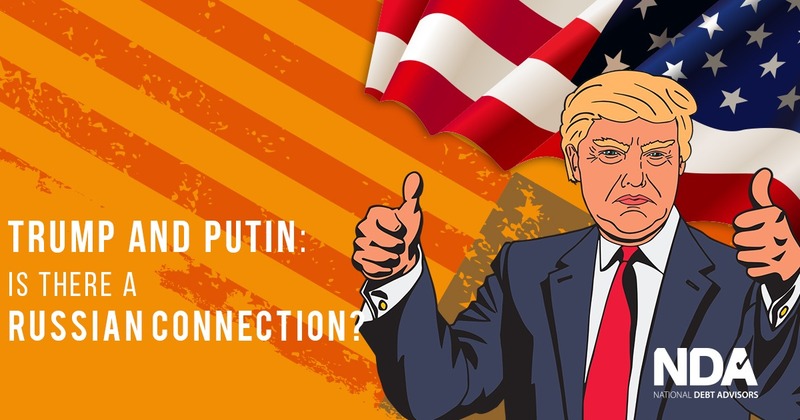 Is there a connection between Trump and Putin?